InboxDollars doesn’t have the high income earning potential of Swagbucks but when you stick to the simple point earning activities on Inbox and add its earnings with other simple earning point earning activity programs it is a way of making a small amount each month from home in that down time at the end of the day when all you feel like doing is putting your feet up and watching TV. Upon signing up, you’ll see a small box to the upper right that says, My List. 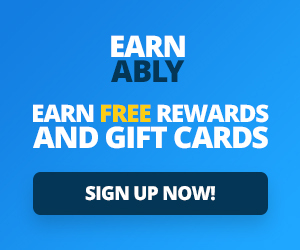 There are six activities that you can do to earn a $1.00 bonus right off the bat, such as complete a cash offer, refer a friend, and take three surveys in seven days. Each day click through the paid emails either on the site directly or through your email box or through the InboxDollars App. and earn .02 cents per email. On average I get 1 to 3 emails paid emails a day. Doing this point action takes just seconds per email and is such a no brain cells required action. You earn .01 cent for every 2 qualified search through the InboxDollars toolbar to the maximum of .15 cents per day. You can download the toolbar for easy access and earn but you can also access the tool bar at the top of the InboxDollar’s home page or use the search feature in the app. When you use the toolbar 4 days in a row during one calendar week you get a .05 cent bonus. This is another easy section to earn points. Simply click through to radio loyalty using the “more” tab found on the InboxDollars home page. Scroll down to radio and click on it, then click through to Radio Loyalty, pick a station you like and listen to it in one tab while you work on your computer in another. Set a timer to 10 minutes and whenever it goes off click on over to Radio Loyalty and enter the code you are given. For every 10 minutes you listen and enter the code for you get .01 cents. I couldn’t find a limit on this so this could add up depending on how many hours you spend on your computer daily. Many people play games online anyway, so why not earn money while you play? You can with InboxDollars if you’re willing to put some real money into a gaming account with GSN/WorldWinner Games. Note: I’m not a gamer, so I didn’t try this option. I’d be interested to hear if you have success with this one. Instead of using Google, Bing, or Yahoo (or the multitude of other search providers), using InboxDollars to search for what you’re looking for can earn you some spare change. Earn up to 15¢ a day on qualified searches, and a 5¢ search loyalty reward for any week you search four or more days. 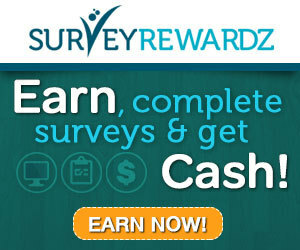 I am not a huge fan of Surveys as they often are time consuming and usually low paying. However, they can often be multi-tasked. I have met several women who love doing them while cuddling up next to their hubby who is watching sports. It is a way to cuddle and earn at the same time. There are also several ways to refer your friends. The easiest way is to submit their emails, and if your friends join InboxDollars, you’ll earn 10 percent of their qualified earnings. You can refer people from your favorite social networks quickly and easily, all you do is click a button and post. Previous articleWhy InboxDollars Is One Of The Best GPT Sites?